Everything you need to know for the Pageant this Weekend! Please read through the document in it's entirety. We are looking forward to 4 wonderful performances! 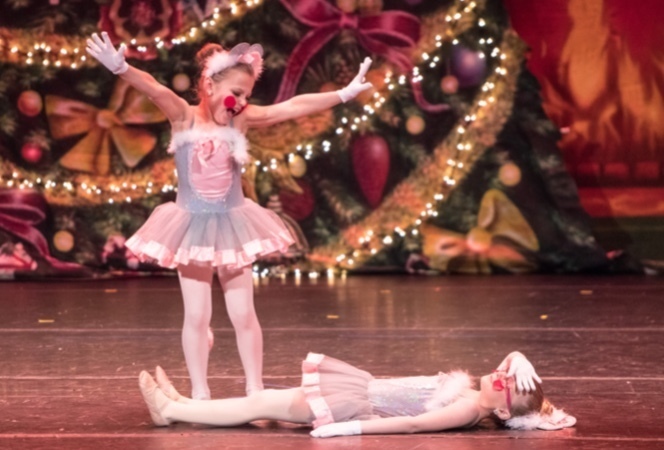 Download "Pageant Information 2017 to email.docx"
Download "Nutcracker Important Dates to post.pdf"
We can't wait to begin Nutcracker tomorrow! Looking forward to a wonderful production! Please continue to check this section of the website for upcoming rehearsal schedules! There are numerous ways to enter the SUNY Old Westbury campus, but by far the easiest is to take either the Long Island Expressway or the Northern State Parkway to the appropriate exits for Route 107 North. This will be delineated as Jericho or Oyster Bay.Take Route 107 North approximately one mile from both the LIE and Northern State. On the left you will see the entrance to SUNY Old Westbury, which is marked by a traffic light. You turn left onto the campus of SUNY Old Westbury, and drive approximately three miles on a one way access road to the Campus Center. We will guides along the way with lights to assure you that you are proceeding toward the Campus Center. At the point where you will be turning left into the parking lot, there will be someone guiding you in, but you will be making a left into a large parking lot. Park in that lot, but park as close to the Campus Center as you can. It is a large multi-level white building. You will see the enclosed walk ways which lead to the Campus Center. Park and walk into the Campus Center. The Maguire Theatre is located very close to the entrance to the large Campus Center. Please be sure all costumes, hair pieces, accessories, tights & shoes are labeled! Girls: hair curled ponytail or curly hair extension, hair bow, dress, white tights, black patent leather shoes, coats, gloves, scarves, hats. Neutral eyeshadow, lashes, red lips. Boys: hair in low bun, hat, white shirt, black blazer, black three quarter length leggings, white tights, black jazz shoes,coats, gloves, scarves hats. Neutral eyeshadow, mascara. Mothers: your assigned costume, character shoes tan tights. Neutral eyeshadow, lashes, red lips. Fathers: hair in low bun, black jackets, white button down blouse, black slacks, black socks, black jazz shoes. Neutral eyeshadow, mascara. Maids: hair in medium bun, hat, black dress, apron, black tights, black jazz shoes. Neutral eyeshadow, lashes, red lips. Soldier Doll: hair in low bun, hat, red cheek dots, costume, pink tights, ballet shoes, white gloves. Neutral eyeshadow, lashes, red lips. Dolls: hair in high bun, hair bow, red cheek dots, white gloves, tutu, pink tights, ballet shoes. Neutral eyeshadow, extra large lashes, fuscia pink lips. Mice & Mouse Queen: hair in medium bun, ears, costume, tail, pink tights, ballet shoes (Queen: tiara) gloves. Neutral eyeshadow, lashes, fuscia pink lips. Soldiers: hair in high bun, hat, red cheek dots, white leotard, suspenders, red pants, black jazz shoes. Neutral eyeshadow, mascara, red lips. Snow & Snow Queen: hair in high bun, hair piece, costume, pink tights, ballet shoes (Queen: tiara, pointe shoes). Neutral eyeshadow, lashes, red lips. Angels: hair in medium bun, halo, costume, gold neck bow, pink tights, ballet shoes. Neutral eyeshadow, lashes (mascara if you were a boy in party) red lips. 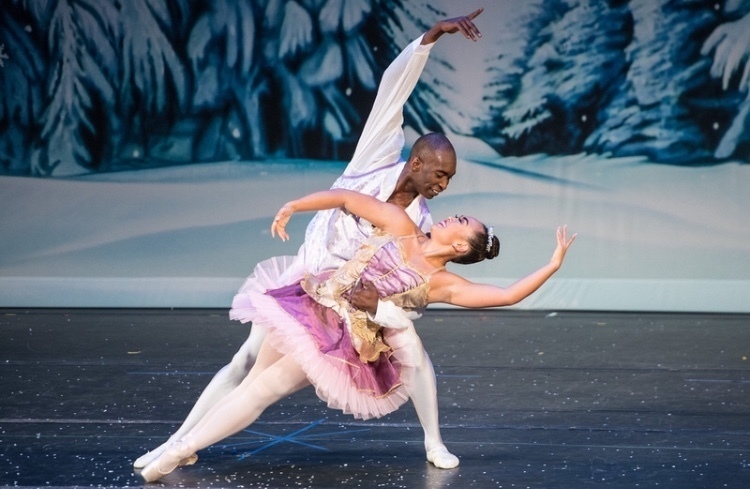 Sugar Plum: hair in high bun, tiara, tutu, pink tights, pointe shoes. Neutral eyeshadow, lashes, fuscia lips. Spanish: hair in high bun, rose hair piece, costume, tan tights, black fishnets, black jazz shoes. Neutral eyeshadow, lashes, red lips. Arabian: hair in high bun, hair/arm piece, costume, no tights, angelos. Neutral eyeshadow, lashes, red lips. Russian: hair in high bun, hair piece, choker, tutu, pink tights, ballet shoes. Neutral eyeshadow, lashes, red lips. Tea: hair in high bun, hair piece, costume, belt, black tights, black jazz shoes. Neutral eyeshadow, lashes, red lips. Tea Lead: hair in high bun, hair piece, costume, black tights, black jazz shoes. Neutral eyeshadow. lashes, red lips. Tarantella: hair in high bun, hair piece, costume, pink tights, pink ballet shoes. Neutral eyeshadow, lashes, red lips. Tarantella lead: hair in high bun, costume, pink tights, pink ballet shoes. Neutral eyeshadow, lashes, red lips. Flutes: hair in medium/low bun, hair piece (hat), costume, pink tights, ballet shoes. Neutral eyeshadow, lashes, fuscia lips. Gingerbread: hair in high bun, bow given backstage, cheek dots given backstage, costume, white gloves given backstage, pink tights, ballet shoes. Neutral eyeshadow, mascara, fuscia lips. Flowers: hair in high bun, hair piece, costume, pink tights, ballet shoes. Neutral eyeshadow, lashes, fuscia lips. Ragdolls: wig, glasses, red dot cheeks, gloves, dress, striped tights, pantaloons, green neck bow, green tap shoe bows, black taps. Neutral eyeshadow, lashes, red lips. El Shaddai: hair in high bun, hair piece, costume, no tights, no shoes. Neutral eyeshadow, lashes, red lips. Man With a Bag: medium bun, hat, costume, tan tights, tan jazz shoes. Neutral eye shadow, lashes, red lips. Reindeer: medium bun, hat antlers, costume, green neck & back bow, tan tights, tan jazz shoes. Neutral eyeshadow, lashes, red lips. March of the Wooden Soldiers: high bun under hat, red dot cheeks, jacket, costume, tan tights, tan tap shoes. Neutral eyeshadow, mascara, red lips. Shine: high bun, costume, tan tights, tan jazz shoes. Neutral eyeshadow, lashes, red lips. Candy Cane: costume, hair in medium bun, hat, tan tights, tan jazz shoes. Neutral eyeshadow, lashes, red lips. 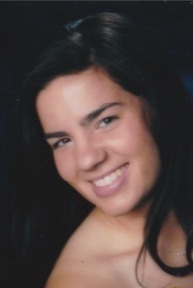 Megan Doyle-Paterniani hails from Albany, New York. She began dancing at the Cantarella School of Dance at the age of 2 and performed with the Albany Berkshire Ballet. She continued her serious study with David Otto and Leslie Roy, both former soloists with the New York City Ballet where her training took her to pursue summer dance intensives at New York State Summer School of the Arts (NYSSA) and North Carolina School of the Arts. Megan is a graduate of the Conservatory of Dance at Purchase College where she received her BFA in Dance Performance and performed soloist roles with the Purchase Dance Corp such as, "The Nutcracker", "Serenade", and "Who Cares?". 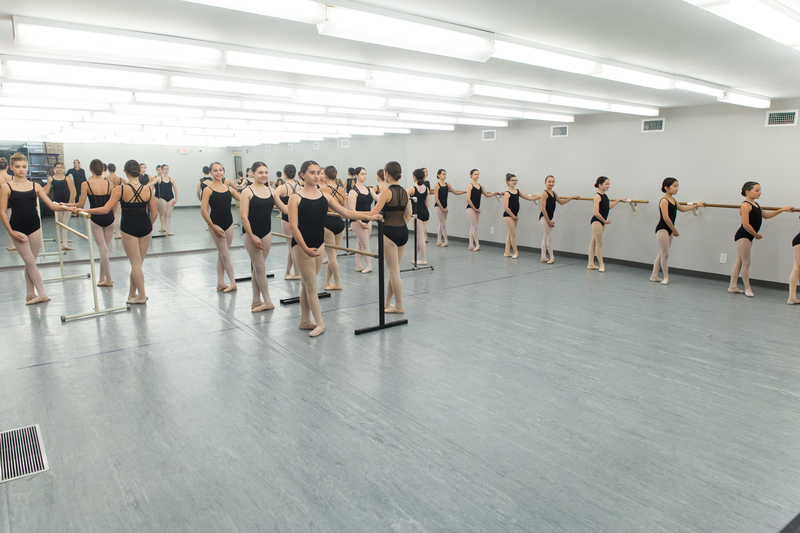 Mrs. Paterniani spent a summer abroad at the Caracas Metropolitan Ballet in Caracus, Venezuela and was a guest artist at the Dance for Life AIDS benefit for the Capitol Ballet Company. Upon graduation, Megan danced as a soloist for Ballet Long Island under the direction of Debra Punzi and and also acted as her Ballet Mistress for the Nutcracker. There she performed roles in "A Midsummer's Night Dream", "Pas de Quatre", "Le Corsaire Pas de Deux", "The Nutcracker", and "Peter and the Wolf". During this time she also performed with Ballet Builders at the Florance Guild Hall as well as performing her own works at the Merce Cunningham Studio and the Blue Muse Project at Riverside Church in New York City. Megan is a former dance faculty member at Adelphi University in New York and has taught at many studios in the Long Island area. She has choreographed many pieces for Competition and Nationals where some have won 1st place overall. 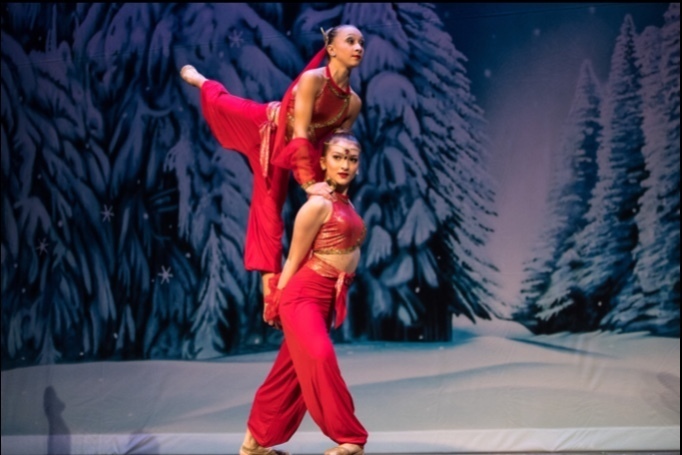 Megan is currently collaborating with a local author of children's books by creating the author's story through dance as well as co-directing the Nutcracker for North Shore Studio of Dance's Holiday Pageant. She is a proud wife and mother of 4 children and hopes to continue to inspire a new generation of dancers to come!